I am Thomas Dupin, French 45 years old, air traffic controller in Marseille, south of France. I practise cycling for 30 years. Since the beginning l am interested in long distance as a mean of transport, travel just enjoying to ride and watch the landscape. I also practised a little bit competitions . One of my dream initially was To participate to Paris-Brest-Paris, which l did in 2015. Then l discovered the RAAM and later the TCR through internet and competitors stories. This new kind of race (TCR and all others selfsupported races) are more in the way of what l m looking for in ultracycling. My experience in long distance cycling only started 4 years ago when l prepared Paris -Brest (2015, 27ème ). Since then I did also one Raid Provence Extreme (2015, 2nd) and one Bordeaux -Paris (2014, 28ème ) , 600 km, 24h on Castellet circuit (2016, 750 kms 2nd), 1000 du sud (2016, 1st), Born To Ride (2017, 1200 kms 1st) and alone an Oslo - Northcape (2017, 2650 kms 7 days) and Italian tour (April 2018, 1740 kms 4 days). I am a passionate cyclist who especially loves the mountains. Which is no surprise, because I live in Switzerland and my hometown is surrounded by high mountains. In the past I used to take part in mountain pass rides such as the Ötztaler or the Alpenbrevet. And last year I did my first Everesting Challenge at Kerenzerberg. Since many years I have been undertaking tours which last several days. Two years ago I heard for the first time of the Transcontinental Race. And since then I can't get rid of the idea of being part of this race. Last year I also visited Monte Grappa on one of my tours and I saw the riders of TCR No5 in action. And since then it has been clear to me: I want to be a participant in 2018! Professionally I am a secondary school teacher and in my spare time I do - besides cycling - ski touring and cross-country skiing. I love to travel. You will find me on a boat on the Mekong in Laos, hiking through Yosemite or the Yangtse Gorge, traveling the Oodnadatta track in Australia or climbing Kilimanjaro in Tanzania. I love to hike in the mountains and always was a runner, regularly participating in half marathons. In normal life I am a physics engineer, working in failure analysis of semiconductor chips. But I became a fat lab rat. So I bought an MTB to lose weight, to be able to run again, a few years ago. But instead of running I started to love cycling. In 2015 I found out about the Transcontinental Race. Being inspired by the TCR I got me a road bike and started to ride longer distances and multi day rides. I found out that this kind of cycling and touring with minimal luggage suits me. I followed the TCR as a dot watcher again in 2016 and 2017, being totally fascinated by the distances covered by these people. I briefly met some of the racers at CP1 last year and found out that they are just normal crazy people. January 2018 saw me applying for a place at TCR06. And I got one. Which caused a major panic attack. But here I am, training and preparing for this years race. It will be hard. My aim is to finish. Bonus points for being at the finishers party. Every long journey provides me with a different view at this world. I am looking forward to this experience. It is the journey itself that fascinates me. Tym has been riding bikes since childhood. His dad encouraged him to go on longer and longer rides working up to a 50 mile day on a department store mountain bike. 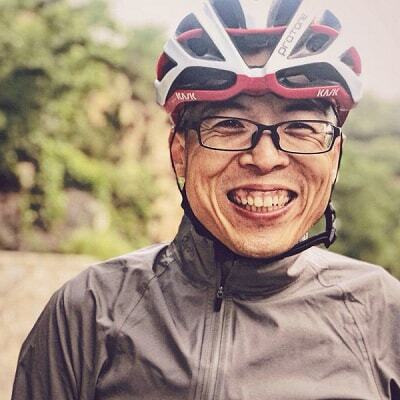 This helped spark his lifelong love of cycling. Tym worked as a courier on and off for years in New York and San Francisco during which time he took up cyclocross. In 2011 he decided to try out some road racing to improve his ‘cross but found he enjoyed the road even more. He and saw success moving through the categories quickly to become a Category 2 midway through 2012 after placing 2nd overall at the Mount Hood Cycling Classic. Tym continued to race road at this level on various elite teams, often in domestique roles. He tends to shine most in either mountainous races or when the weather conditions are atrocious. This year he is recovering from an early season femur fracture so haven’t been racing as much. After racing traditional road racing for the better part of the last decade, he is very much looking forward to his first foray into ultra distance cycling with the legendary Transcontinental Race. Having (re)discovered cycling 2011 it grew to a passion far deeper and greater than my Mountain bike endeavours in my youth. Since then, I enjoy riding my road bike(s). Finding pleasure in exploring the ever greater neighbourhood, ride for fun, ride with friends, cherish solitude and serenity in nature and finding pleasure in exertion. My bike brings me to magical places! It those places are in the mountains - all the better. Event-wise, you could call me a somewhat seasoned Gran Fondo rider. Having only experience with one day events like the Maratona dles Dolomites I jumped headlong into TCR No5 and bike packing last year. And changed forever. Can't wait to stand on the start line in Geraardsbergen again! Will be all the sweeter since I'm fighting back from a tendon surgery on my foot and just started riding for 2018 in March. Will Armitage is a civil servant who finds escape on his bicycle. He has always ridden a bike as a means of transport clocking countless commuter miles. That led to a desire to explore further afield and push his limits whether that's cycle touring in Syria or Japan or the Pyrenees; Cat 4 racing; completing a Super Randonneur series; or riding home from London to Birmingham for Christmas in the middle of a storm to see if he can. Recently he has gotten the bug for bikepacking and gravel riding enjoying the route new kit and off-road riding offers for adventure. Off the bike he is passionate about skiing and good policy-making and stresses about Brexit. He currently has a ridiculous moustache. He has never done anything like the Transcontinental but wants to see if he can. This is Fu from Beijing,China. I am working for my company in textile business, and a father of nine years old daughter. My cycling started from 2016 together with my marathon trainings. The goal will be to finish the race and feel the "suffer" which other riders have had from previous races.